To inspire people, through education, to preserve & care for the Earth’s natural resources, while working to build sustainable communities. No matter if or when we have children in the house, we all seem to end up with multiple old crayons taking up drawer space, many of which are all broken. What can you do with old, broken crayons? Help keep “common crayons” out of the clutter pile, out of the landfill, and into the hands of people who can use them for a good purpose! At SCARCE, they have dedicated volunteers, often students, who melt down broken crayons and form them into “super crayons” for use by children with special needs; they also accept your old mint tins, which are then used for crayon storage, as they are the perfect size to fit 12 crayons. 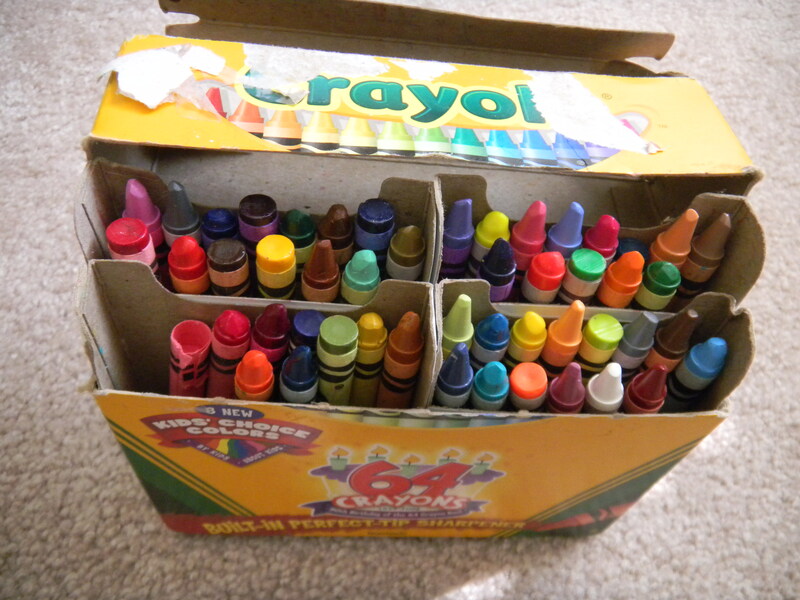 “Gently Used” crayons are repackaged into candy boxes or mint tins and donated to underprivileged school children. This entry was posted in Benefits of Recycling, Crayons and tagged donate crayons, postaday2011, recycle crayons, recycle mint tins, SCARCE, Tools for Schools. Bookmark the permalink.